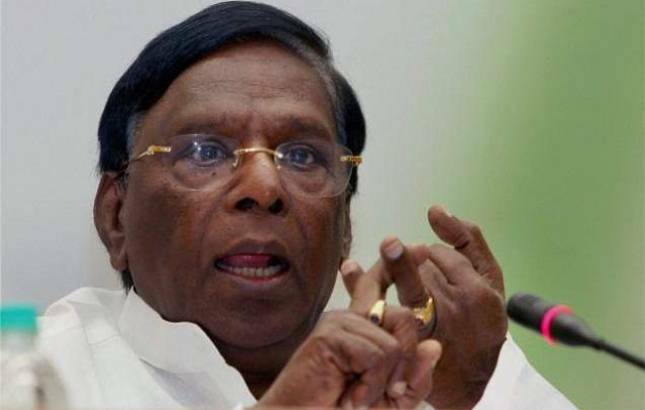 Puducherry Chief Minister V Narayanasamy on Saturday said the Centre will face ‘serious consequences’ if it delayed implementation of the Supreme Court verdict on the Cauvery dispute. He claimed that the verdict pointed to the formation of the Cauvery Water Management Board within six weeks and that it should be constituted. “The Centre would face a situation of contempt of court if it does not form the ‘Board’ and also the ‘Regulatory commission,’ he told PTI. He also accused the Karnataka government of adopting what he said was a “slippery and evasive approach” to the Cauvery water issue. The Chief Minister said he had submitted a letter to Prime Minister Narendra Modi during the latter’s visit to Puducherry on February 25 urging formation of the Water Management Board. “I have not received any reply so far from the Prime Minister in response to my representation,” he said. The Chief Secretary and PWD Secretary had taken part in a meeting convened by the union water resources ministry with all the stakeholders in the inter-state river dispute - Tamil Nadu, Karnataka, Kerala and Puducherry. This was to discuss the modalities of a scheme to be implemented as directed the Supreme Court in its verdict on the Cauvery dispute. He said the officials, during the meeting, insisted on immediate constitution of the Board to ensure that Karaikal region of Puducherry received the seven tmc feet of water as directed by the apex court, he said. Around 43,000-hectare farm lands would be benefitted in Karaikal if the seven tmc feet of water was available, he said, adding the drinking water situation would also improve there. Each of these villages would be developed with full-fledged basic amenities for which the Centre had earmarked Rs 200 crore, he added.